Pupils study both the conventional Ukrainian secular curriculum and a Chabad religious curriculum; the general studies program is very strong, said Ms Yakimenko, noting that machon pupils perform well in various academic competitions with city secular schools. Machon classes are held in a cluster of classrooms on the lower level of the choral synagogue. Girls participate in some all-school events, such as holiday celebrations, with students from School #170. Responding to a question, Ms. Yakimenko said that most graduates of the machon continue their education in Chabad post-secondary programs, including Akademia (see below) in Kharkiv and Chabad women's institutions in Zhytomyr and Moscow. Some girls also pursue further education in Israel. 28. Kharkiv Chabad operates a post-secondary school program for young women, enabling them to enroll in the local university/institute program of their choice while concurrently studying Jewish subjects in late afternoons and evenings at the synagogue. Known as Akademia, the program currently (2011-2012) enrolls ten young women between the ages of 18 and 30 who are pursuing degrees in such fields as medicine, psychology, English, business management, and fashion design. Their tuition at appropriate secular universities and colleges is paid by Rabbi Moshe Moskovitz, the Chief Rabbi of Kharkiv (see below). In addition to pursuing professional degrees, participants also study synagogue-based courses in Hebrew, Judaism, Jewish law, Torah, hasidut, and Jewish history in classes that are held on Monday, Tuesday, and Thursday from 4:00 to 7:00 p.m. The young women also attend STARS classes on Sunday afternoons from 1:00 to 4:00 p.m. Pearl Kolnak, who directs the Akademia program, said that eight of the 10 young women in the program are residents of Kharkiv and live at home while commuting to their places of study; the remaining two are from Chernihiv and live in a Chabad-owned apartment adjacent to the synagogue. The eight local students move into the apartment for Shabbat and various holidays. 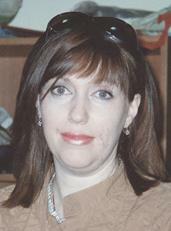 Pearl Kolnak directs the Kharkiv Akademia program, which offers full scholarships to young women pursuing academic degrees who also undertake a concurrent program of Chabad religious study. In addition to their secular and Jewish courses, Akademia students provide assistance to community professionals on Shabbat and all holidays, assist in various Chabad preschool activities, and are counselors at either the synagogue day camp or its residential camp outside the city. An earlier program in which Akademia students participated in three intensive seminars at Beit Chana in Dnipropetrovsk during each academic year has been suspended due to financial constraints in both Kharkiv and Dnipropetrovsk. Ms. Kolnak acknowledged that Akademia participants are from impoverished homes and are attracted to the program because it pays their tuition at local universities and colleges. Without Akademia, higher education would be impossible for most of them. Participants do not receive general spending money, but they are given the customary stipends for STARS courses. The high operating costs of Akademia deter its expansion to include more young women, said Ms. Kolnak; however, she stated, they are always looking for ways in which to improve the existing program. 29. Lycée Sha’alavim is a struggling Jewish day school started in 1994 and then abandoned in 2009 by the Union of Orthodox Jewish Congregations of America (OU; New York). As a private school, the lycée receives some state funding, but less than that allocated to public schools (such as School #170). Further, a major component of OU support had been the assignment of three young adult modern Orthodox Jewish couples from Israel as Jewish studies teachers in the school; when the OU withdrew its support the Israelis returned to Israel, leaving the lycée without any qualified teachers of Jewish subjects. Yevgeny Persky, who has been principal of the lycée since its inception, has labored hard to maintain it as a competitive institution. He has changed its denominational affiliation to Masorti (Conservative), thus permitting the enrollment of non-halachically Jewish youngsters and obtaining the assistance of Midreshet Yerushalayim, the Russian-language outreach section of the Schechter Institute in Jerusalem, in training local teachers to teach Jewish subjects. Pupil enrollment, which had fallen below 100 in 2010-2011 rose to 114 in 2011-2012 in grades one through 10 and was anticipated to increase even more in 2012-2013 with the addition of an eleventh grade and the attraction of some new students throughout the school. Yevgeny Persky, a former professor in a scientific institute, became principal of Lycée Sha'alavim at its inception and has used his own funds and solicited money from others to maintain its operations since its original sponsors abandoned the project. Although its private-school status enables the lycée to charge substantial tuition, student fees are minimal due to the low economic status of many lycée families. However, the school has opened two fee-based nursery school groups in a discrete wing of the building, each group enrolling ten children. Another source of income is the operation of a fee-paying afterschool program that attracts 150 children, including many non-Jewish youngsters, that meets every weekday from 4:00 to 7:00 p.m. Youngsters participate in various educational, cultural, and recreational activities; the afterschool program, said Mr. Persky, is a "huge success" (огромный успех), both in its program content and in its income-generating capacity. A section for special needs children also produces some revenue in form of grants from the Kharkiv municipality and from World Jewish Relief, a British organization. The special needs group includes 39 youngsters with various disabilities and employs four special education teachers, a psychologist, a speech therapist, and several aides. World Jewish Relief also provided a grant for reconstruction of the Sha'alavim sports hall; in addition to its use for regular physical education and sports activity, the facility is used for a fee-paying children's dance program. Notwithstanding their own limited financial resources, some school families donate in-kind gifts and supplies to the school from time to time. The Jewish studies program at the school consists of only 30 minutes weekly for first graders, but jumps to two and one-half hours for second grade, four hours for fifth grade, and seven class periods in sixth grade. In ninth and tenth grade, ten classes in Jewish studies are scheduled each week. 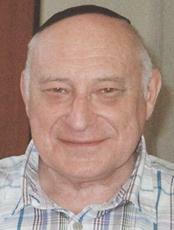 Most of the Jewish studies teachers, Mr. Persky said, are graduates of Sha'alavim. Their Sha'alavim student experience, greatly enhanced by instruction from specialists at Midreshet Yerushalayim, has produced an excellent Jewish studies program, Mr. Persky continued. As a private school, the lycée offers extended class time (42 hours per week, in contrast to 32 to 33 hours in public schools), a fact that is greatly appreciated by parents. Another attraction to parents is small classes. Despite the considerable progress made by Mr. Persky in maintaining the school, Sha'alavim's success seems tenuous. The school is located in a remote part of the city, necessitating long bus rides for pupils. Its building, a former preschool, is ill-suited to the requirements of older pupils and requires substantial renovations. The fundraising efforts of Mr. Persky seem almost Herculean, especially in the absence of major donors, and absorb much of his time and energy. Midreshet Yerushalayim, which has been vital to the school in training its Jewish studies teachers, is not capable of providing the general financial support once bestowed by the Orthodox Union. Further, the school building is owned by the cash-strapped municipality, which is threatening a substantial increase in rent. 30. The Hillel student group in Kharkiv has been one of the most vital and creative Hillels in all of the post-Soviet states, perhaps reflecting the large population of students in this university city and the expertise of its longtime director, Yulia Pototskaya. Operating from a four-room (including kitchen) office suite in the center of Kharkiv, Hillel attracts about 250 students to its activities every month and between 500 and 600 during the course of an entire year; these figures represent an increase over the previous year, said Ms. Pototskaya. In addition to welcoming "walk-ins", Hillel does targeted outreach in six local universities/colleges in which Jewish enrollment is believed to be substantial. The organization makes extensive use of Russian-language social networking sites to recruit students to specific events and maintain general contact with all who express interest in its agenda. Kharkiv Hillel was a participant in a recent Hillel pilot project known as Neshama (Heb., Soul), Ms. Pototskaya recounted. It was an outstanding experience, she said, involving ten Jewish student and young adult artists and ten Jewish student historians who traveled together to a number of important Jewish historical sites in Ukraine and Belarus, recording their experiences and thoughts. Upon their return to Kharkiv, some of their artwork and written observations were collected and published in a booklet. Each person perceived the journey through his or her own particular skill, developing their individual talents while enriching the impressions of others. Kharkiv Hillel has long provided opportunities for students to express themselves creatively through music, dance, and drama. Interested students participate in various festivals, holiday events, and community gatherings. In addition to artistic endeavors, Ms. Pototskaya listed a number of other activities that draw great Hillel student interest. The Week of Good Deeds, a national effort, engages Hillel students in volunteering, including such general civic projects as working with police to promote child safety and cleaning public parks and playgrounds. Hillel members also volunteer within the Jewish community, serving as madrichim (leaders) for JDC-organized children's events, cleaning old Jewish cemeteries, and visiting isolated elderly Jews in their apartments. 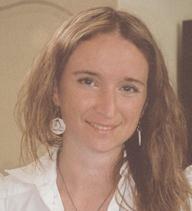 Julia Pototskaya is one of the veteran Hillel directors in the post-Soviet states. However, the machon lacks science laboratories, a computer technology program, and physical education classes. The Joint Distribution Committee gave Sha'alavim its old furniture when it moved to its new building. See below.